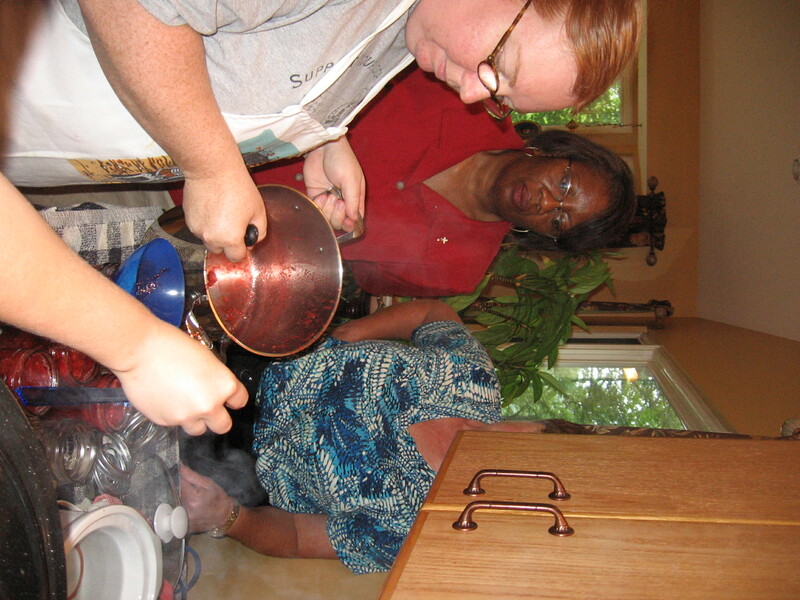 We had a great strawberry jam class offered by Two Girls and A Hammer (Jenn and Sharon) this Sunday. What a great turn-out–there were 7 willing students! 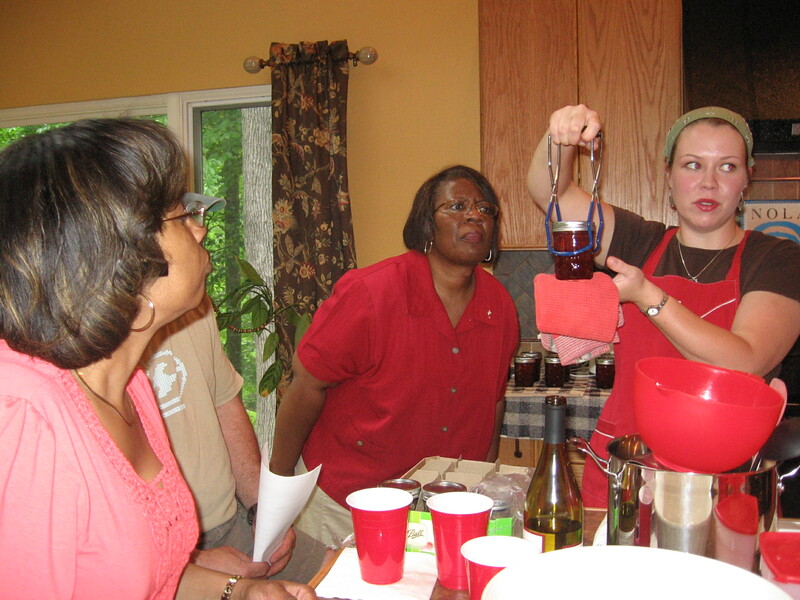 The ladies showed us their proven methods for getting some delish strawberry jam. I have to confess, after taking the class, I do feel fairly confident that I could make jam!! They did a great job of convincing us that jam is an achievable task. What a great way to save fruit at the peak of freshness. Jam is also a great thing to give away–homemade jam is one of my favorite gifts to receive! !